Early Years Campus has limited spaces left! 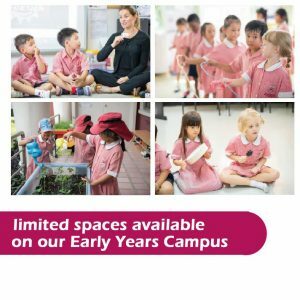 Due to huge demand we now have limited spaces available on our Early Years Campus for both Term 3 2017-2018 and also Term 1 2018-2019. Both our current Nursery and Year 1 classes are FULL and are now wait-listed. To secure your child’s place at our school for next academic year, please call our admissions team on 0-2540-7122 or e-mail us at: ksinipa@bromsgrove.ac.th.